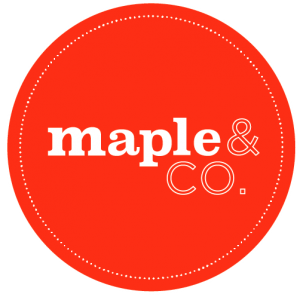 maple&CO offers premium healthy customised catering to your office, event or home. Whether you are looking for a delicious and nutritious sit-down meal for a meeting, a pop-up style event for a press launch or salads and gluten-free treats for a dinner party – we are here to help! Our bespoke catering service means we can design a delicious and nutritious menu to suit your event; whether it’s for 8 or 3,000 people! We have trained chefs and foodie servers ready to help you on the day of your event to take care of all the food and drink details. We can also help with all your serving ware and furniture needs too especially when it comes to creating a unique style for your event. We can even help with custom branded labels and packaging. We look forward to hearing from you and please contact us below or email us at catering@mapleandfitz.com or fill out the form below.